The knowledge of human body structure and functions allows everyone to follow the demands of personal and general hygiene in order to avoid various diseases, be healthy, mentally and physically developed. To preserve one’s health one should study his organism, the processes taking place in it and the conditions capable of preventing illness. The human body consists of cells and may number about 100 trillion of them. Each of cells consists of molecules. All living beings inhabiting our planet consist of cells too. All processes occurring in cells at the molecular level are similar in respect of all living organisms – unicellular protozoa (elementary) to multicellular higher plants and animals inclusive. A cell is the structure containing carbon, oxygen, hydrogen and nitrogen in it. 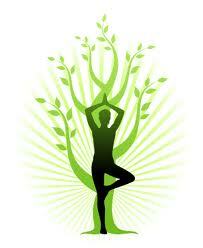 It is able to regenerate itself, this way we constantly restore our bodies. Every six weeks we renovate our liver, taste buds and even DNA. We renovate ourselves for the term less than 2.5 years. Body cells differ in size, color and form. Under thin outer coverings of most cells there is a transparent substance looking like a gel which contains still less in size inner structures – organelles. The size, the form of a cell and also the types of organelles a cell contains depend on the functions the cell fulfils in an organism to maintain its efficient, smooth running. A cell capsule is called a cell membrane. It is 0.1 micron thick. The membrane is elastic and that is why cells may vary their configuration. The membrane lets only the necessary for a cell substances inside it, these are oxygen for breathing, nutritives for the inside digestion and the energy sources usually in the form of glucose, i.e. sugar. Still through the membrane the bad substances (like carbon dioxide) and other waste products of the vital functions (metabolites) are let out. Between the cell membrane a thick liquid – the cytoplasm – resides holding organelles except for a nucleus. One can pretty clearly observe through an up-to-date microscope the part of the cytoplasm permeated in all directions by the tiniest rod-like and threadlike formations which constantly change their configuration. They are the framework giving cells shape, keeping organelles in a certain position and forming the canals by which entocyte (cell content) moves. The microscopic rod-like and threadlike formations are also important to let cells move: they pile up, sharply contract then rapidly reform and so some cells (the white blood in particular) can move like amoebas. A mitochondrion (the plural mitochondria) is one of the most important cell organelles. Outwardly it resembles a sausage and forms folds inside. Most of the cells possess at least several mitochondria. They are cells “power plants”. The next no less significant group of molecules of living organisms is proteins. Some of them make the main structural material of organelles and biomembranes. Other proteins form the important cellular substances named ferments or enzymes. Ferments are of various types, special form and they operate the speed of intracellular chemical processes. A cell produces as much as necessary of proper ferments which in their turn operate the cell’s inner reaction. Proteins are made in rrround of the ribosome locating in the cytoplasm. In most of the cells the nucleus is the basic and the most important organelle. A cell nucleus is dipped into a gel-like substance – the cytoplasm. Here one can also find the small bulbs which transport proteins and unneeded substances. A nucleus is enclosed in a double membrane (the so called nuclear envelope) provided with round and slot-like pores. The nucleus membrane is joined with the membranes of the endoplasmic reticulum and with the outer membrane of a cell. Inside the nucleus there is a dark small nucleus or some of them in which parts of a ribosome are formed. A nucleus also includes DNA with the genetic code recorded in it. The nucleus could be safety called a cell’s control center. It is the nucleus that suggests to organelles and other cell components what they should do and in which moment. The nucleus also sends out the commands as to what kind of proteins, lipids and other vitally significant molecules must be produced. Besides it determines the form, the size, the sort of activity and the term of a cell’s existence. The nucleus possesses so vast powers (and indeed great possibilities) because it contains chromosomes with gens inside them – the code of life, the instructions to the most important process on earth, namely procreation. The cells fulfilling different assignments in the organism are not like. Some of the most important types of cells are found in muscles, blood, brain, skin, walls of a ventricle, liver and bones. The cells of each type of tissue have been programmed to divide and reproduce the additional tissue within a certain period of time. The nerve cells can exist during the whole life of an organism, the bone cells live 10 to 30 years, the red blood cells 4 months and the skin cells nothing but 7 days. The scientists consider that about a million of the red blood cells disappear and are being made up again by new ones within every second. Unlike other cells of the organism the small of the red blood cells lack a nucleus. That is explained by the fact that their sole function is to transport oxygen. They reach about 0.007 mm in diameter. The whole scope of information about the human has been fixed in a spiral-looking tape (helix) which is called DNA and is packaged inside every cell nucleus. DNA contains all information necessary for our body to grow. The moment the cell divides into two DNA untwists like a zipper and each new cell is getting a DNA molecule. If only your own DNA were 2 inches (5.08cm) then your body would have been as huge as the Earth. The scope of information in the double helix of DNA is so enormous that as much as 100 000 genes inside it are engaged to keep it. Never the less DNA space gets in the square of no more than several thousandth of millimeter. So the human like all living beings consists of cells connected with each other by the connective structures. Cells themselves are much like living beings for they carry out the same life functions as the multicellular organisms do: they feed to provide their vital function, use oxygen to get energy, reply to certain stimuli and are capable of reproduction. Cells reproduce dividing into two (fission).